Gregory knows that from experience – which makes him a much better doctor. Gregory understands how life-changing an injury can be, why his patients struggle, and how anxious they are to be healed. Gregory was a happy and active kid. When he was 8 years old, Gregory’s mom saw an opportunity to burn all that excess energy . She signed him up for a 5K road race – and they ran it together. That led to more 5Ks, a first place finish in Gregory’s first triathlon, and success in multiple sports each season. Gregory’s mother was pleased and proud of her young athlete. A day at the waterpark changed all of that. Gregory was 15 years old and having a blast – until he injured his back. The technical explanation is that the impact resulting from a crazy ride on a 3 story water slide caused a grade 1 spondylolisthesis at L4 – a microfracture of the lower spine with displacement of vertebra. What it means in human terms is that Gregory, struggling to find a solution to his back pain, began his journey towards the practice of chiropractic medicine. Like many of his patients today, Gregory exhaustively searched for answers. He saw multiple health care professionals – all of whom agreed that Gregory had a spine and muscle injury. Gregory’s prescribed treatments were rest and recover, warm-up and stretch. Gregory tried, and failed, to maintain the active lifestyle he loved so much. Exercise just meant pain. For years, Gregory tried to cure his injury by strengthening his muscles. His back still had a joint-based injury, so the problem – and the pain – remained. At 22, after 7 years of struggling with back trouble, Gregory was too young to give up and vowed to find a solution. He turned to Dr. Jeffrey Mohn – a chiropractor. Dr. Mohn showed Gregory that while he had an injury, the body is determined to heal itself. Gregory started to understand the connection between the muscle and spine systems – and it encouraged his budding interest in healthcare. Dr. Mohn helped Gregory recover from his injury – but he also changed Gregory’s path. Gregory’s injury, and subsequent recovery, taught him more about life, health, and hope than any class or course of study ever could. Chiropractic medicine opened a door – and Gregory walked right in. 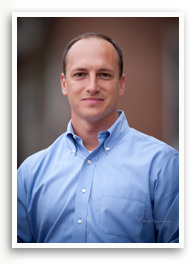 Dr. Gregory Fox listens to, understands, and cares deeply about his patients. He knows first-hand how life-changing an injury can be. Dr. Fox is uniquely qualified to guide his patients along the path to recovery and a better tomorrow because he traveled that road himself. If you are unable to find relief from pain struggling to get dressed, hold your children, go to work, or hug your loved ones feeling stuck and alone with no answers the team at Heritage Integrative Healthcare can help you! Dr. Fox and his staff have the solutions you’ve been searching for. Start your journey back to health and wellness – call us today. Dr. Gregory Fox is the founder of Heritage Integrative Healthcare. Dr. Fox has practiced chiropractic for over 18 years. He trained in multiple specialities such as muscle assessment, kinesiology and muscle movement, nerve entrapment and pain, and the nutritional deficits that cause inflammation. Dr. Fox loves combining the orthopedics and neurology of chiropractic with the muscle examination of kinesiology to get results for his patients. 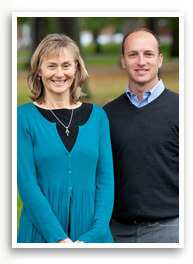 Dr. Fox is a devoted husband and father and lives with his family in Cumberland, ME. Some things haven’t changed – Dr. Fox still has energy to burn. He’s constantly in motion! On his off time, you’ll find him outdoors – either with his family, on a surfboard, or training for triathlons.